FitBIt Alta HR - Is the the Best Smartwatch you can get ? Home Gadgets FitBit Alta HR- Is this Really A Good Investment? If you are a fan of Alta watches then you must have said this to yourself “I wish it read my heart rate”.Now the company Fitbit has listened to your wish and here they are with their newest feature. They have come with some special standout features in which one of them is PurePulse Heart Rate. in this post, we have listed all the other features of FitBit HR. What is the FitBit HR? Fitbit Alta Hr is an activity tracker which tracks your sleep, pulse rate, cardio fitness level and so on. It comes in 6 different colors. Fitbit’s design hasn’t evolved much but you can’t say the same about Fitbit Alta Hr. It comes with a new design having a change in position of accelerometer and heart sensor. When it comes to health, heart really matters. Now before getting into some standout as well as essential feature lets just talk about the price as well as the design of this Fitbit. The first thing which I will talk about is the Price of this Fitbit. Fitbit Alta is selling for Rupees 12,700 which is 1400 more than the last model of Fitbit Charge 2, a more thicker tracker package. 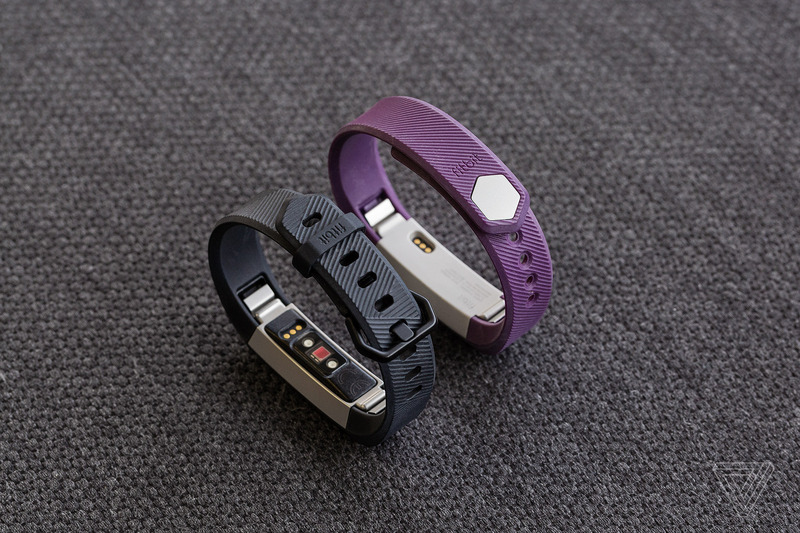 The design of this Alta HR looks more like a bracelet than an activity tracker. The only difference in design between last year FitBit Alta and this year FitBit Alta is that it’s railroad style strap. Being modular the module can be easily swapped out and hence you can wear it from both sides. The only downside of FitBit Alta HR is that it’s not Tap sensitive which can get annoying sometimes. The question of the hour is whether the FitBit can be the replacement of charge 2. According to my opinion: Not really. Both are of the same price and having heart sensors. The only difference is that while doing exercise you can start or stop time in charge 2 but you can’t do that at all in Fitbit Alta HR. Now I will list down some standout as well as the essential feature of FitBit Alta HR. 1. Cardio fitness level– As the new feature of this watch helps you to keep track of your heart rate you can monitor your workout accordingly. By measuring your heart rate it gives the accurate information about calories burns. 2. Reminders to move– The one feature which is liked the most is this one. when you are still in one place for prolong duration you will receive a notification displaying “Let’s Move”. 3. Purepulse Heart rate– Heart rate zone will help you to see how hard you are working during exercise so that accordingly you can push yourself to do some hard work. 4. Auto Sleep Tracking and sleep stages– This function displays the heart rate when you are sleeping With help of this function you can also track your sleeping stages. Sleeping stages is basically calculated from purepulse heart rate only. 1. Interchangeable Bands– Modular property of this band makes it Interchangeable. So the bands on either side in the middle can be easily swapped out. 2. Battery up to 7 days- Fitbit comes with a great battery life which helps you to not worry about battery life for at least 7 days. The battery will be displayed on the main screen constantly. 3. Auto exercise recognition- This feature helps you to not worry about when to start the timer and when to stop it. Auto exercise recognition feature will easily detect your workout when you are on the go. 4. Steps, Calories, and Distance- Although Fitbit doesn’t come with GPS system it helps you to keep track of Distance, sleep and with the help of purepulse heart rate it can also figure out the calories burn. Let’s talk about some bad stuff which FitBit Alta HR is having. In Fitbit Alta HR you can’t have control over tracking exercise. You can’t start or stop the watch in between the exercise. The second snag about this watch is that there is no GPS for accurate distance. GPS is still not installed in Fitbit Alta watches which makes it plight for the user. As we have seen until now we can easily say that FitBit can be a good investment. From the addition of heart sensors to its design, everything looks quite overwhelming. The downside of this watch is that it’s not waterproof and touch sensitive which can be annoying sometimes. A great Product with some new cool features, looking at the price you could have had few bucks less than it would be a perfect fit.